Our dealerships in Lafayette, Louisiana enjoys a fully stocked inventory of pre-owned vehicles for sale, so don't hesitate to get your search started. Moss Motors boasts an on-site finance department that employs credit professionals who are eager to assist with your auto loan needs. Our dealerships have made many resources available online to help you get your pre-owned vehicle search started, so take time to explore our locations today! 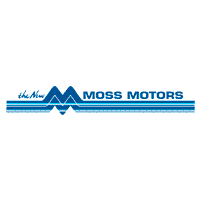 Welcome to Moss Motors, Lafayette, Louisiana’s award-winning car dealership. Whether you are looking to buy or lease a new vehicle or seeking top-notch auto service for your current car, Moss Motors is the place to turn to near New Iberia and Opelousas, LA. At Moss Motors, we believe in offering local drivers a selection of highly rated auto brands; that is why we specialize in the sales and service of BMW and Mercedes-Benz vehicles. Our dealership group’s locations are all conveniently located in Lafayette, which means car buyers can shop from our superb selection of new BMW and Mercedes-Benz vehicles plus our inventory of late-model used cars with ease. Whether you shop online or by stopping by our dealership locations, we are confident that you will find the new or pre-owned car that fits your lifestyle, personality, and budget.